A major portion of the India market targets towards low budget cars and the cars that will involve low maintenance cost. You should never go for a car that will initially be a cheap car, but the maintenance cost makes it an expensive one. We are getting so much technically advanced in 2019, then why not take some smart moves in respect of purchasing cars by calculating the future costs. 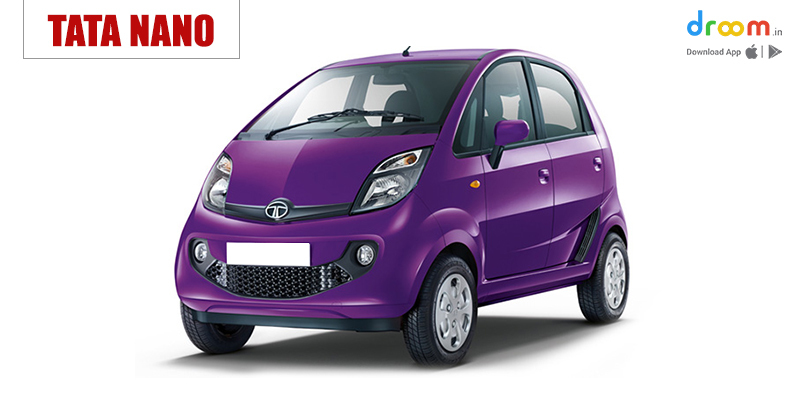 Tata Nano is the most affordable car in the Indian market and its maintenance cost is also the lowest. The specifications of Tata Nano are up to 36.0 Km/kg mileage, up to 624 cc engine, 37.48 BHP, and manual as well as automatic transmission. The engine is powered with 5-speed manual or automatic manual AMT gearbox. It is a 4-seater car, available with five variants – XE, XM, XMA, XT and XTA. Maintenance Cost: The service cost of the car is as low as Rs. 1,546 per year. The scheduled service cost is around Rs. 1000 for the 1st year or up to 10,000 kms and it goes up to Rs. 2500 to Rs. 3000 in the 2nd or 3rd year. There is one more benefit with Tata cars, as Tata offers free service till 20,000 kms or 24 months, that comes earlier for Nano. This makes Tata Nano as one of the low maintenance cars in India. 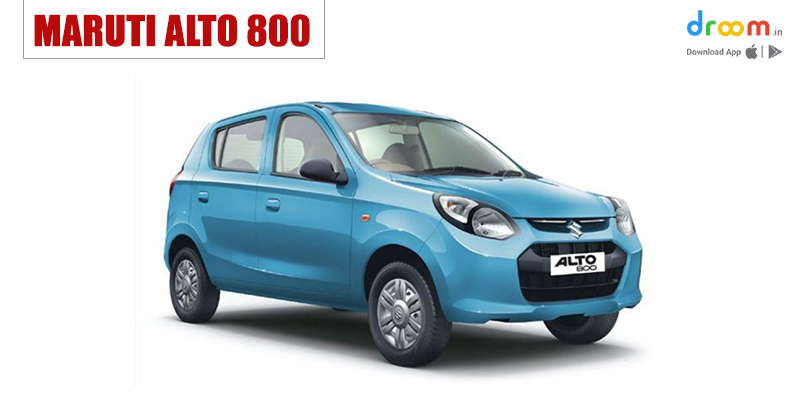 Maruti Alto 800 is one of the most affordable cars in the Indian market and its maintenance cost is inexpensive. The specifications of Maruti Alto 800 are up to 33.44 Km/kg mileage, up to 796 cc engine, 47.3 BHP and has only manual transmission. The car is powered by a 0.8-litre, 3-cylinder petrol engine, 48PS maximum power and 69Nm peak torque. It is also a 4-seater car, available with five variants – Standard, LXi, LXi (O), VXi and VXi (O). Maintenance Cost: The service cost of the car is Rs. 3,706 per year. The extensive sales and service network of Maruti gives a hassle-free experience in servicing and owning a car. The ownership cost is very low, so it is popular among the first-time car buyers and those who want to upgrade from two-wheelers to four-wheelers. 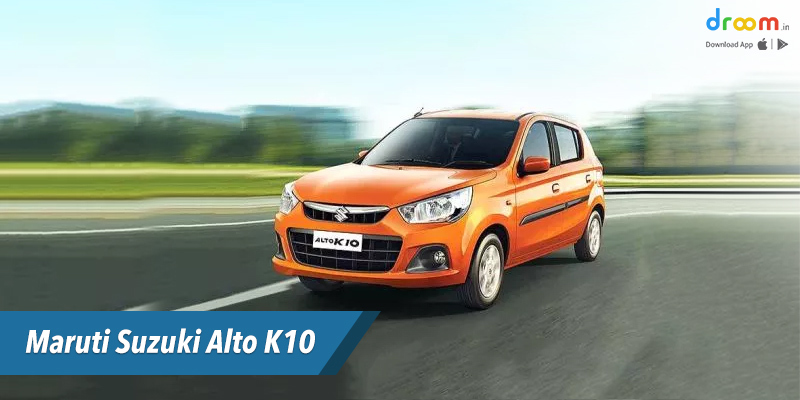 Maruti Alto K10 is one of the cheap cars in India and its maintenance cost is very low. The specifications of Maruti Alto K10 are up to 36.26 Km/kg mileage, up to 998 cc engine, and 67.1 BHP. The car is available with 5-speed manual or automatic transmission and also available in CNG variant. It is a 5-seater car, available with three variants – LX, LXi and VXi. Maintenance Cost: The service cost of the car is Rs. 3,394 per year, which is pretty affordable. The car has excellent mileage and it barely burns the pocket in terms of running costs. Maruti Suzuki Swift is one of the low maintenance cars as its maintenance cost is affordable. The claimed ARAI mileage of Maruti Suzuki Swift petrol variant is 22 kmpl, and for diesel variant is 28 kmpl. The engine ranges from 1197 cc to 1248 cc. Maintenance Cost: The service cost of Suzuki Swift diesel variant is Rs.0 for 1st year, Rs. 6,480 for 2nd year, Rs. 3,730 for 3rd year, Rs. 6,480 for 4th year, Rs. 3,730 for 5th year, and Rs. 6,480 for 6th year. When it comes to petrol variant, Rs. 1,430 for 1st year, Rs. 3,580 for 2nd year, Rs. 2,630 for 3rd year, Rs. 4,540 for 4th year, Rs. 2,630 for 5th year, and Rs. 3,580 for 6th year. The cost of spare parts are Rs. 1,501 for front bumper, Rs. 2,780 for rear bumper, and Rs. 3,340 for front windshield glass. 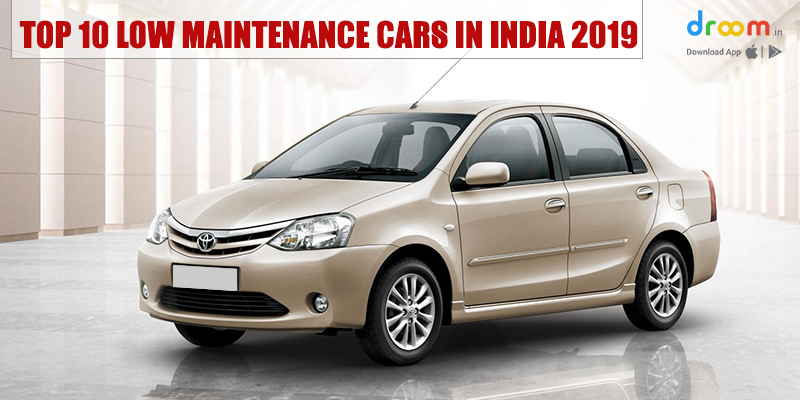 Toyota Etios​ may fall under the category of cheap cars in India, so the maintenance cost is minimal. The car has up to 23.59 Km/kg mileage, up to 1496 cc engine, 88.76 BHP and manual transmission. Maintenance Cost: The service cost of the car is Rs. 3,032 per year, which is pretty affordable. The car has excellent mileage, so the running cost will not adversely affect your budget. 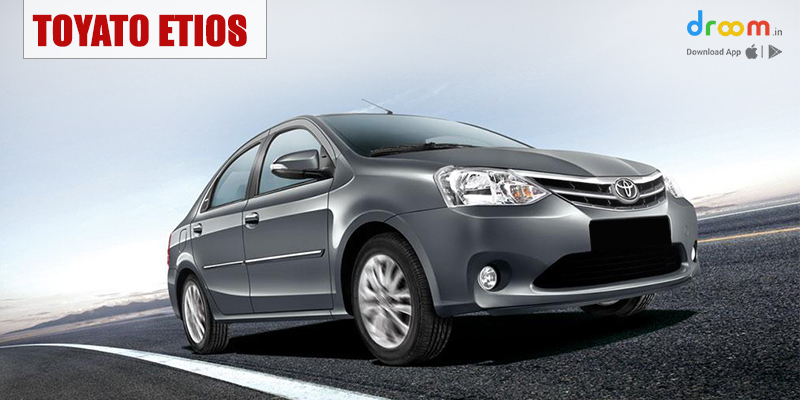 The estimated service cost of Toyota Platinum Etios diesel variant for 6 years is Rs. 18,196 and petrol variant is Rs. 18,176. Hyundai Grand i10 is one of the low maintenance cars with low cost of maintenance. The specifications are 18.9 Km/kg mileage, up to 1197 cc engine, and 256 litres boot-space. Maintenance Cost: The service cost of Hyundai Grand i10 diesel variant is Rs.1,733 for 1st year, Rs. 3,463 for 2nd year, Rs. 3,788 for 3rd year, Rs. 5,518 for 4th year, and Rs. 3,788 for 5th year. When it comes to manual petrol variant, Rs. 1,138 for 1st year, Rs. 1,532 for 2nd year, Rs. 3,377 for 3rd year, Rs. 3,587 for 4th year, and Rs. 3,193 for 5th year. If it comes to automatic petrol variant, Rs. 1,138 for 1st year, Rs. 1,532 for 2nd year, Rs. 3,192 for 3rd year, Rs. 3,402 for 4th year, and Rs. 3,008 for 5th year. 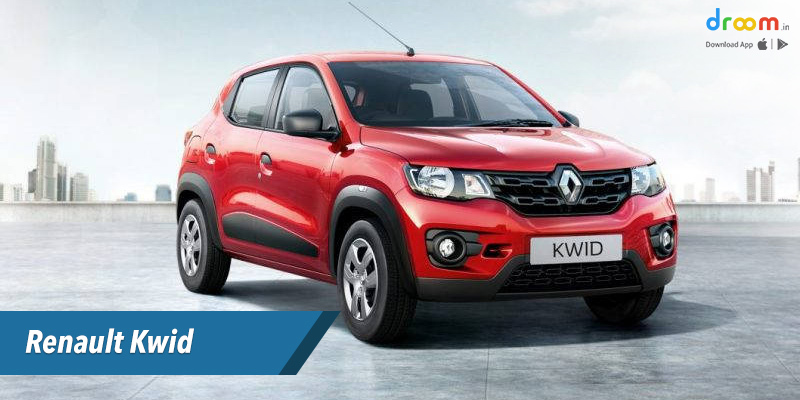 Renault Kwid is one of the cheap cars in India and its maintenance cost is inexpensive. The specifications of Renault Kwid are up to 25.17 Km/kg mileage, up to 999 cc engine, 67.0 BHP and has both manual and automatic It is a 5-seater car, available with six variants – STD, RXE, RXL, 1.0 RXT Optional, 1.0 RXT Optional AMT, and Climber 1.0MT. Maintenance Cost: The service cost of the car is Rs. 4,268 per year. The car gives unmatched 4-year/1-lakh km warranty and free 4-year roadside assistance. 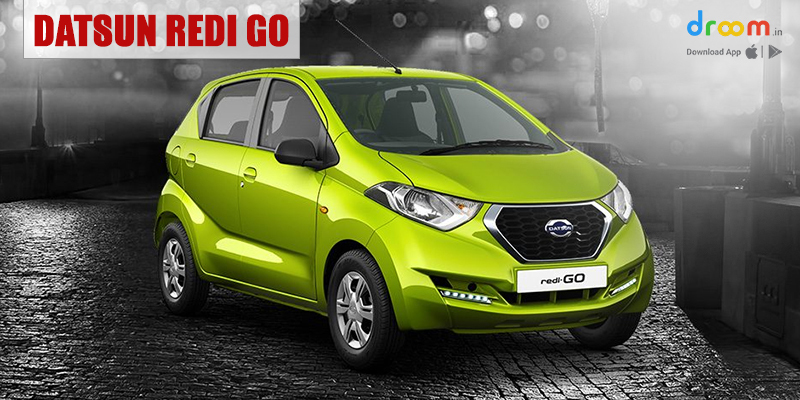 Datson Redi Go is one more affordable car and its maintenance cost is very low. The specifications of Datson RediGo are up to 22.7 Km/kg mileage, up to 999 cc engine, 67.0 BHP and has both manual and automatic. It is a 5-seater car, available with eleven variants – D, A, T, 1.0 Limited Edition, T Option, S, Limited Edition 2018, 1.0 T Option, 1.0 S, AMT 1.0 T Option, and AMT 1.0 S.
Maintenance Cost: The service cost of the car is Rs. 2,639 per year. 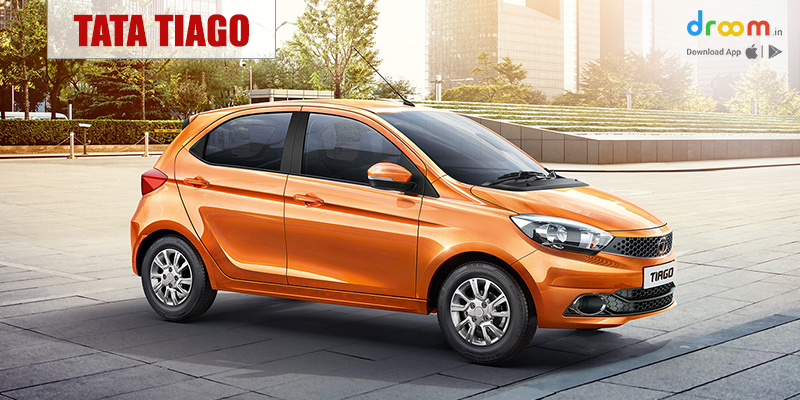 Tata Tiago is the 10th most selling car in 2019 and it is one of the most affordable cars in India. The specifications of the car are up to 27 Km/kg mileage, up to 1199 cc engine, and has both manual and automatic. Maintenance Cost: The service cost of the car is Rs. 7,676 per year. The claimed ARAI mileage for the Tata Tiago petrol variant is 23 kmpl, and for diesel variant is 27 kmpl. So, the maintenance cost will also be low. 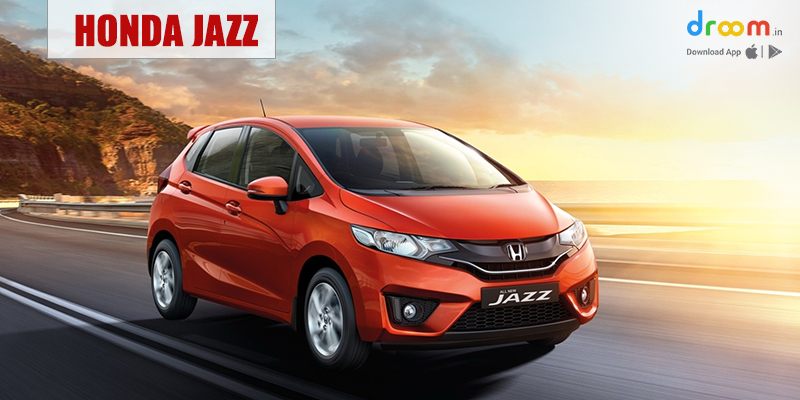 Honda Jazz is another affordable car in India of 2019. The specifications of the car are up to 27 Km/kg mileage, up to 1498 cc engine, and has both manual and automatic. Maintenance Cost: The service cost of the car is Rs. 7,676 per year. The mileage for the petrol variant is 19 kmpl and the service cost for it for 3 years is Rs. 23,520 and mileage for the diesel variant is 27 kmpl and service cost for 3 years is Rs. 34,153. Apart from these above-mentioned cars, there are a few more low affordable cars available in India, those are Toyota Etios Liva, Maruti Suzuki Celerio, Hyundai EON, Maruti Suzuki Dzire, and Ford Figo Aspire.